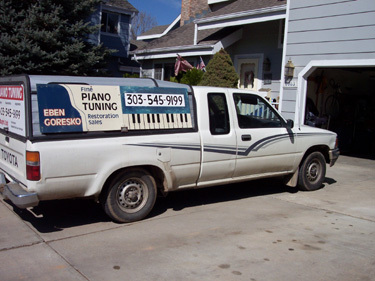 As I tune and service pianos in Boulder, East Boulder and Boulder County, I see all makes, models and kinds of pianos, from spinets, consoles to baby grand and larger grand pianos. To help you get a fuller understanding of what is involved in tuning your piano, I recommend that you reference the question that I answer below by viewing the following videos Tuning a Steinway Concert Grand, Model D that I am tuning in the video? Can you describe how to tune a piano? This is a very general question that can be answered in many different ways depending on what you specifically have in mind. Suffice to say, whether or not you tune completely by ear or use an electronic tuning aid, you need to be proficient and experienced in understanding how pianos are built, how they behave and what their operational limits are, so to speak. There are two very general situations for me when I tune a piano. If my customer is a repeat customer vs. the first time or new customer. If I have tuned the piano before, it is easier to assess and gauge what the piano needs in terms of tuning and service, especially if there is extra stuff going on, i.e. 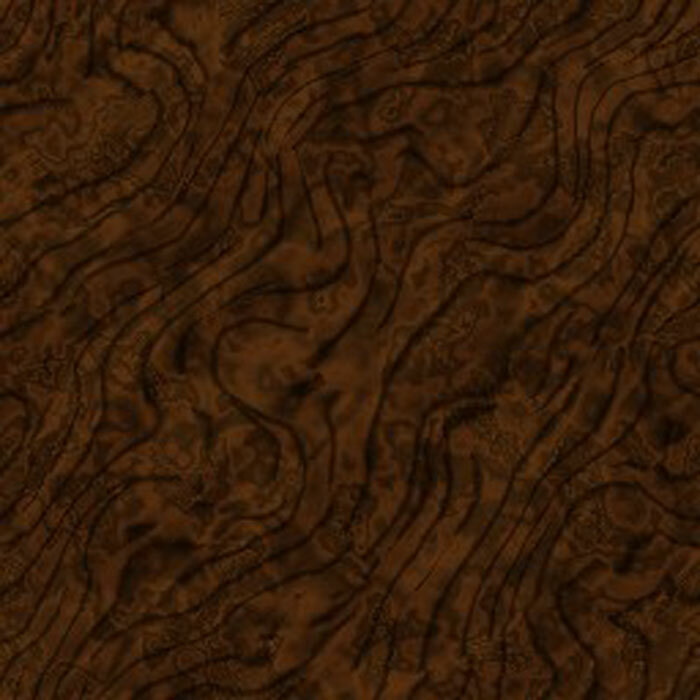 weird tonal issues, extreme off pitch, poor response. Of course, physical examination of the instrument usually reveals much about what I need to know regarding the condition of the instrument. Tuning a piano usually takes about an hour to an hour and fifteen minutes. If your piano is totally up to pitch at A440, then your piano should only need a basic tuning. On the other hand, pianos - even in Colorado, often drop in pitch and if that is the case then unless the drop is VERY slight (within 2 cents or 1/50th of and equal tempered semitone) your piano will need what is called a Pitch Raise. A Pitch Raise or Lower is like another tuning or partial tuning and you should be prepared to cover that extra work with extra $$'s. My charge for that usually runs roughly in proportion to the amount of time it takes me to render the pitch raise. If it takes me 50% of the time it takes me to tune your instrument, then I usually charge for roughly 50% of what my charge for a regular tuning costs. Why Tune A Piano Up To "Pitch" At All? The pitch standard of all music at this time is A440. All the professional music you hear on the radio, in concerts and on downloads from the internet are in "Concert Pitch." It is essential that you establish this standard on your piano. That can only be accomplished by having your instrument tuned on a regular basis - at least once and preferably twice a year. 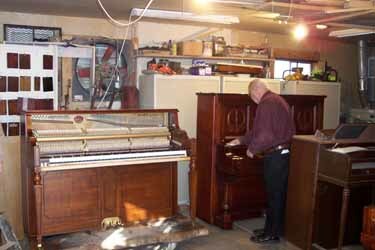 What is the harm in servicing your piano only "when it is used?" Not "tuning your piano "when it isn't being used is a mistake. Sure, you can ramp back your service regime to some extent but it is bad to stop periodic service of your piano, period. 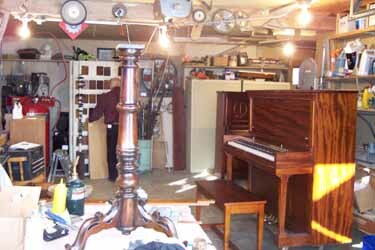 What can happen to your piano if you stop periodic service? Substandard or destructive ear training when your child plays the piano. This is because in many cases even when "nobody is playing the piano", the piano is played intermittently and often out of pitch and with keys working in a less than desirable manner. 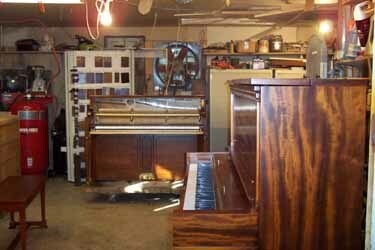 If it is the case that your piano is really not touched at all, all kinds of things that can compromise your instrument can occur unmonitored by a piano maintenance professional. 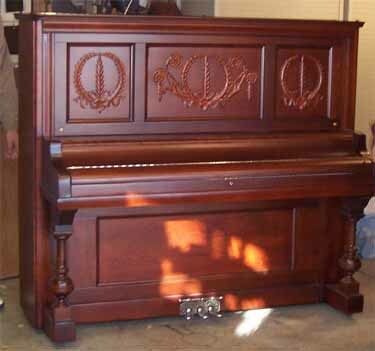 Relocating your piano into a harms way - excessive sunlight, heat vent, for starters. Dust and dirt can accumulate inside the piano. Moth's can eat up your felts. The conundrum of ceasing professional care of your piano is that it leads to a vicious circle where the piano becomes less and less used. 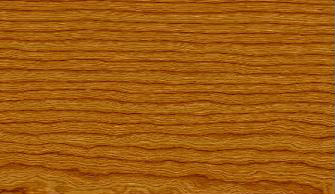 Subsequently, the piano sounds and worse and worse and which in turn discourages you from using it at all. This sad scenario in reality exists for millions of erstwhile piano owners. If you are one of them, the answer is quite simple. Call a real professional and get back on track and find out where you stand! Lack of service will lead to lower resale value. The above are just a few downsides of "not tuning your piano because it is not being used." Sure, it is hard to justify when there are many other concerns that we have to pay for day in and day out. But be rest assured, if you don't take care of your piano, you will pay for it, one way or the other; in dollars or lost potential for your child benefiting from the magic of music or unrealized joy of sharing music with your family and friends.